"Italy invented fish and chips"? Ah., but we improved on it by adding sloppy peas! Had Pea & Ham soup from Greenhalgh's yesterday and they had added too much water to it! I fancy some fish and chips, but I am waiting to be paid - will have to wait for next week when I will enjoy them all the more for having waited for them! I do not have the details to hand, but I believe there is a challenge from Manchester, to London 1st chippy claim: years back, sure there was summut about it at MOSI. No! Sloppy peas are much better than Mushy peas! And a Wiganer should know that, them being lovers of t'pey-wet! Mushy peas are pretty solid, but mushy, and sit on top of your chips. Usually dyed bright green. I don't like them! Sloppy peas are almost soup. Them's best! Don't see 'surprise' peas anymore. You probably will, if you live long enough. Champagne, fish and chips and a peawet...???? utterly absurd Italian propaganda.its up to Westminster to refute such nonsense. after all we invented pasta,but we don't boast of such rubbish as pasta. 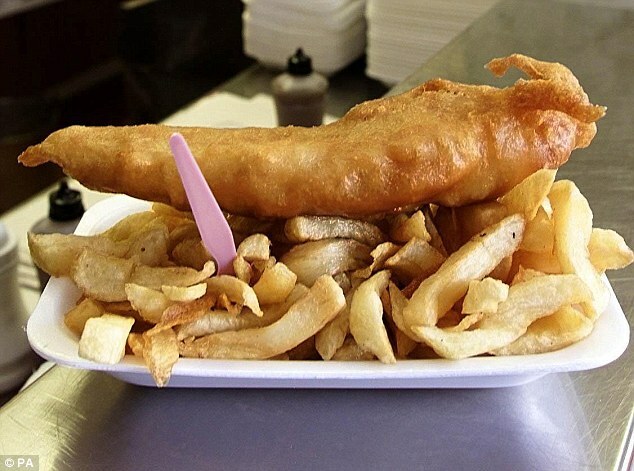 Does anyone know if Wigan has a best chippie award every year? Dunno, but I would love to have a chippy....Somewhere near an industrial park for profit, but priority would be good fare. And all left oer chips would be given away at closing time.